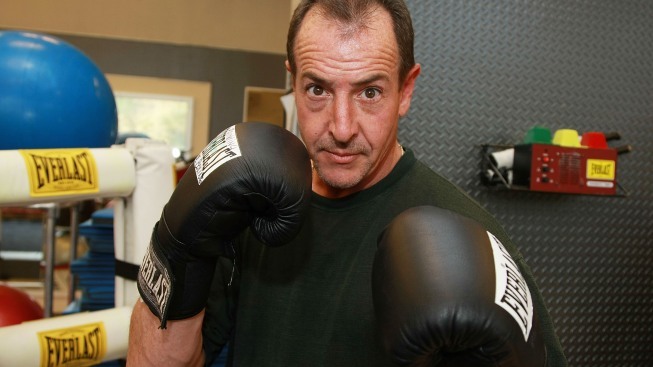 Michael Lohan has a history of losing his temper. Just like his daughter, Lindsay Lohan's dad found himself in handcuffs once again. Michael Lohan was arrested in Florida after police got a domestic violence call from the Tampa home he lives in with his on-again-off-again girlfriend. Tampa police tell The Associated Press he was arrested for battery early Tuesday but was soon taken to the hospital because he complained of chest pains. He was then released from the hospital shortly afterward and taken to the Hillsborough County Orient Road Jail. According to a report obtained by TMZ, girlfriend Kate Major told police Lohan pushed her and squeezed her arms, threatened to throw her off the balcony and slit both of their wrists because she wouldn't perform a sexual act. He also smashed her cell phone and threw a remote control at her. Lohan pleaded not guilty in May in another another domestic violence call. According to Access Hollywood, he was arrested in Los Angeles in March after Major told police he prevented her from calling 911 when he physically abused her. The tabloid celebrity's dad checked himself into "Celebrity Rehab" last spring to be treated for anger management issues.